This cover is absolutely gorgeous. Whoa. Thank you. 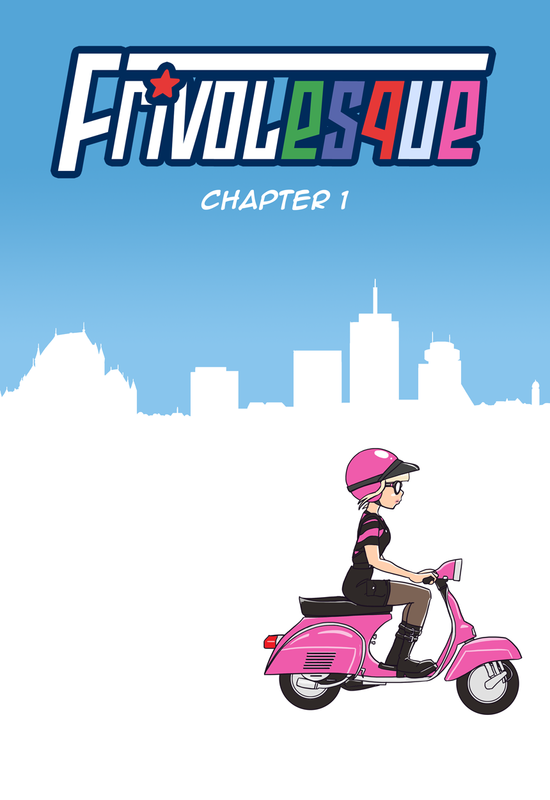 I thought the cover would probably be useless in a webcomic… But I went ahead and used that drawing anyway. Expect this scooter to appear in the strip proper very soon! Does everyone speak Canadian in this strip ?